Racing at Timonium. Photo by The Racing Biz. 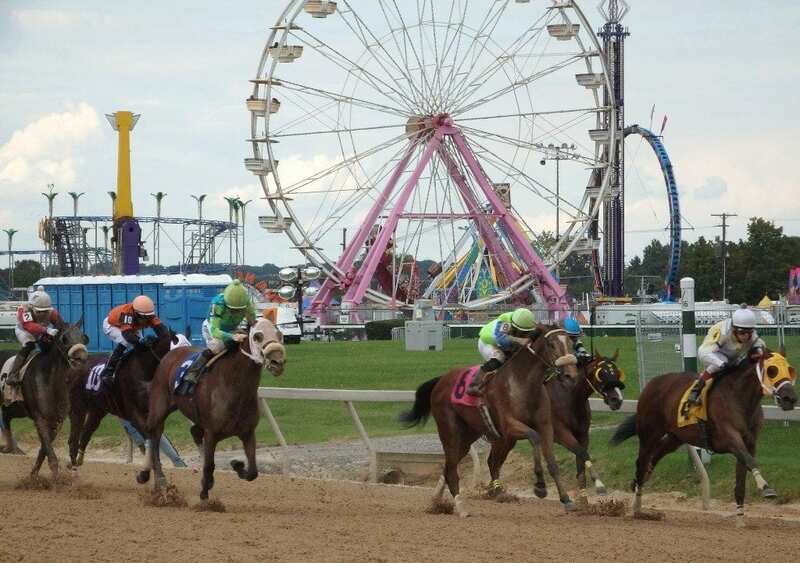 The GQ Approach features full-card selections from Timonium Fair Grounds for the 7 days of live racing during the Maryland State Fair (Aug. 25-27; Sept. 1-4), Post Time 1:05pm EDT including a daily Best Bet, Longshot Play, and multi-race wagers — including Pick-4s and rolling Doubles and Pick-3s. #5 – Bay of Cats (9-2): First-time starter hails from barn whose runners can win at first asking; scratched on Friday for easier spot here? On Saturday August 26th at Timonium had just 4 winners from the 10-race card (2 Top Selections; payoff in BOLD) having $2 WIN pay-offs of $4.20 (1st race), $3.60 (2nd), $2.40 (3rd), $3.00 (4th) and $4.80 (9th). Of the suggested multi-race wagers hit the R1-R2 $2 DOUBLE paid $8.40 (cost: $12). Top Selections in 2017 are 256 for 931 (27.50%). In 2016, Top Selections were 304 for 1,213 (25.02%). 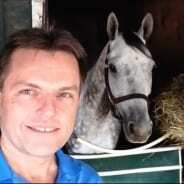 BEST BET of the Day (98: 33-22-15; in 2016 127: 31-29-19) Seventy Niner (5th race: 9-2 M/L; 7-1 PT) no factor early, drifted into the five-path turning for home making little impact while finishing 6th just two-lengths behind the winner. LONGSHOT PLAY of the Day (86: 13-10-12; in 2016 124: 13-13-16) Crazy Bernice (2nd race: 15-1 M/L; 10-1 PT) dueled between rivals for the lead in a pressured pace then faltered after five furlongs to finish 9th.